Last updated 31 January 2019 . By Faith Strickland. Watch your gin being distilled at this gin lab in the City of London. Celebrities at my dream dinner party? Sorted, down to the last hair on Tom Hardy’s head. Desert Island Disc picks? Britney’s ‘Work B**ch’ is first up. Specialist subject on Mastermind? That’s where things get a little hazy - really it should be gin, but despite - or perhaps due to - the amount of tastings, masterclasses and blending sessions I’ve been to, I still couldn’t tell you the first thing about the nation’s most beloved drink. Fortunately, City of London Distillery have a masterclass to help me refresh my memory, along with learning how to knock up my own bottle. 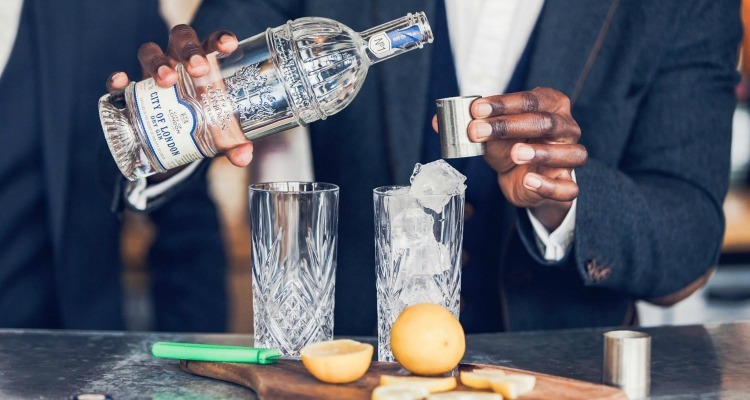 As far as gin brands go, the City of London Distillery is part of the new boom of microbreweries, and since its conception in 2012, the company has seen its popularity snowball. Tucked down a cobbled lane on the edges of the City, the distillery feels like it could have been there for hundreds of years, located in a cavernous basement, with the giant stills illuminating the back wall. We’re in a side room for the start of our experience, as our guide takes us through the history of gin, from gin lane (think crying babies, mother’s ruin and bad behaviour) through to how we got the phrase ‘dutch courage’. Along with making your own gin, you'll also get to slurp plenty of G&Ts at this event. Once I’ve brushed up on my facts, we’re allowed to rummage through, sniff and weigh the various ingredients that have been left on the tables in front of us, the idea being that we will create the core flavour for our very own bottle of gin. From rose petals through to bits of orange peel, it's amazing to see just how simple it is to flavour gin, with our ingredients then taken through to the laboratory: a space filled with a series of tiny stills. Chucking in our spices and herbs, turning up the heat, muttering hubble, bubble, toil and trouble, and the still magicked up a bottle of homemade gin, that was lowered down to 40% ABV, and wax sealed. 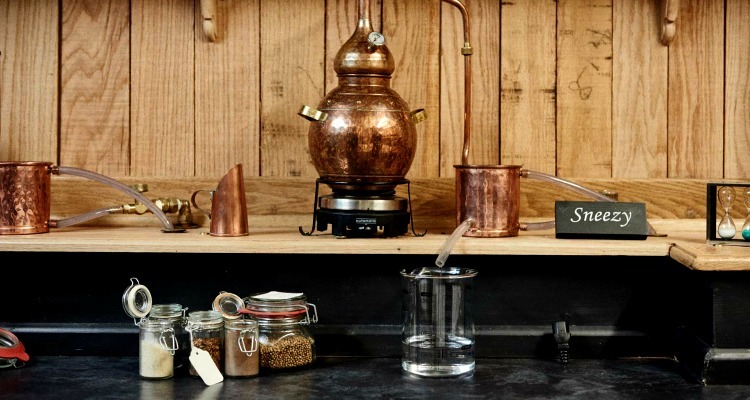 There’s a wealth of gin experiences out there, from knocking up your own bottle using different distills to learning how to make the perfect G&T, but City of London Distillery Gin Lab is the only one that will take you right back to the basics. It’s not cheap, coming in at £125, but you get your own bottle of gin, several G&Ts, a class and tour, along with the knowledge on how to make your very own gin empire; watch out, London - Strickland’s Salvation is coming to a local Tesco soon. The Gin Lab takes place at City of London Distillery, 22-24 Bride Lane, London, EC4Y 8DT. The experience costs £125 per person and includes a history of gin, making your own bottle, and several G&Ts.